This Saturday saw the Eagles looking to get back to winning ways after a hard fought loss at the hands of Spencer 3rds. Welwyn 2nds travelled to Cambridge with a large squad and a 100% record from their first two league games, however they left the Queens ground defeated by a dominant Cambridge performance boasting both defensive stability and a cutting edge in offence. The first quarter began in Cambridge possession after the first of many face-off wins by a slick Skylar Johnson – yet to be given a real challenge at the X this season. Continued and high pressure possession saw the Eagles race to a 4-1 first-half lead through Hasan, McInally and Clement (2); Welwyn’s fast break attacks were quelled by a strong defensive unit of Cummings, Wigley, Thompson and Keeper Stamper; highlighted by a clean quarter in the 2nd. The third quarter began much in the same vein, brutal possession stats in offence saw Cambridge add to their lead through Wiggett (2), McInally, Johnson and Clement (3) while strong defensive carries relieved pressure from a Welwyn team growing in confidence. The game drew to a close at 11-3 to Cambridge with the Eagles maintaining their unbeaten run at home and taking up residence at the top of the SEMLA East 2 table. On their home (but more than slightly muddied) pitch, Cambridge faced off against the University of Birmingham on Wednesday. It was sure to be a challenge for Cambridge, as Birmingham is one of the top teams in the league and fielded of team of strong experienced players, while Cambridge, on this day, found itself with only one defensive pole, and with a mix of experienced players and beginners. Anticipation and energy were high for the game, and attackman Pete Baddoo got everything off to a big start with a quick goal, which was soon answered by Birmingham, setting the pace for what would be an exciting and passionately played game by both teams. Good offensive movement and passing, and heads up D saw Cambridge leading after the first quarter, 4-3. Birmingham started the second quarter strong, with a couple of quick goals. Down two goals at this point, Cambridge called a time-out to ameliorate some of the weak points in their defensive slide package that Birmingham’s offense had been making good use of. Cambridge’s defense now shorn up, the momentum in Birmingham’s direction was slowed, and Cambridge held Birmingham to only one more goal that quarter. Both of Cambridge’s goals for the second quarter came from midfielder Krin Müskens, giving Krin his “hat trick” after a mere two quarters of play. The halftime saw both teams tied at 6-6. A hotly contested third quarter continued the stalemate; nevertheless, as the third quarter progressed, it became increasingly clear that the tide was gradually turning in Cambridge’s direction. Cambridge’s beginners showed amazing heads, heart, and hustle, as they were becoming exponentially more comfortable on the pitch with each passing minute, and were thoughtfully implemented the feedback they were receiving from their teammates and coaches. This was all reflected in improvements in Cambridge’s movement on offence, tighter defense (particularly on fast breaks), and aggressive pursuit of ground balls. At the close of the third quarter, the stalemate of score, some strident slashes, and stepped-up spirits spawned a short scuffle, which saw both teams starting the first three minutes of the final quarter with a man in the penalty box, the Cambridge man perhaps fortunate to be allowed back on the field at all. The fourth quarter began with both teams tied at 8-8. After a few changes of possession in the opening minutes, attackman Pete Baddoo got the quarter started with a goal, followed by two quick goals by midfielder, Matt Johnson, which turned the momentum decisively in Cambridge’s favour. Cambridge then slowed things down on the attacking side of the pitch, and their long possessions on offense, combined with stellar sliding and hustle in transition, found Cambridge keeping Birmingham to only one goal for the quarter. Cambridge’s sole pole, Will Barrie, came up with and cleared a number of critical ground balls, while astutely directing the defense and shutting down some strong Birmingham drives. Cambridge’s keeper, Stuart Cummings played lights-out D the second half, repeatedly making a number of crucial stops in one-on-one situations in which Birmingham’s attack had come up with ground balls directly in front of the crease. Late in the fourth quarter, attackman Pete Baddoo added two more goals that put the game away in Cambridge’s favour. Final Score: Cambridge 13, Birmingham 9. Motivated by their dominant performance against London Uni last week, Cambridge Blues travelled to South London this Saturday to face Croydon. The opposition started the game strong, putting a goal in quickly. Pete Baddoo answered with a strong individual performance, tying the game at 1-1. Croydon had a strong midfield with skilful shooters, and managed to get a lot of shots off in the first quarter. Two of these led to goals, but a strong performance in goal by Kyle Hall prevented a big lead for Croydon early on. Cambridge went man-down in the last seconds of the quarter, but Matt Coley ran the ball all the way upfield, and with a spectacular creasedive goal ended the first quarter with Cambridge down one goal. Cambridge maintained their momentum after the break, with Matt Coley and Krin Müskens winning all faceoffs, granting Cambridge possession after possession. These possessions were efficiently used, with the Blues showing some of the best teamwork they’ve seen in years. Quick passes and lots of off-ball movement led to a run of 5 unanswered goals for Cambridge. Pete Baddoo played an important role in finishing off the team play, scoring 3 goals and assisting Aiden Jakubik on crease. Score at halftime was Cambridge 7, Croydon 3. Both teams only brought small squads to the game, which was visible in the second half of the game. The speed of the game went down, and Cambridge started committing unnecessary fouls. Defence kept playing strong, however, not conceding any goals whilst man-down. The second quarter ended in 9-5, with both teams scoring 2 goals. Cambridge spent the fourth quarter slowing down the game, trying to secure their win. The game was determined by a man-up goal from Matt, followed by a quick goal of a groundball by Nick Evans. Final score: Cambridge 11, Croydon 6. Richard Luddington from ‘Fit Again Sports Therapy’ will be the CULC Physio this year for all members to use if needed. Fit Again Sports Therapy is a sports injury and rehabilitation clinic with two locations in Cambridge; we are based at the Cambridge United Football Stadium and The Leys Sports Complex. The F.A.S.T. therapists combine a wealth of experience with post-graduate qualifications which keeps us at the forefront of the Sports Therapy and Sports Medicine fields. We can offer the complete sports injury service including diagnosis, treatment and rehabilitation, sports massage, diagnostic ultrasound and injections if required. 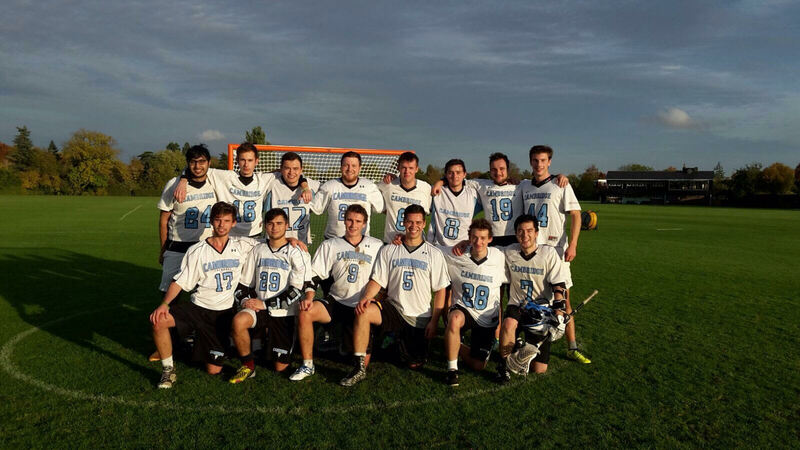 We are delighted to be working with the University Lacrosse Teams this year. Appointments for the team will be £15 for a half hour and £30 for an hour for injury diagnosis/ treatment or sports massage appointments. Contact Richard at Richard@fitagainsportstherapy.com for more information and to make an appointment. 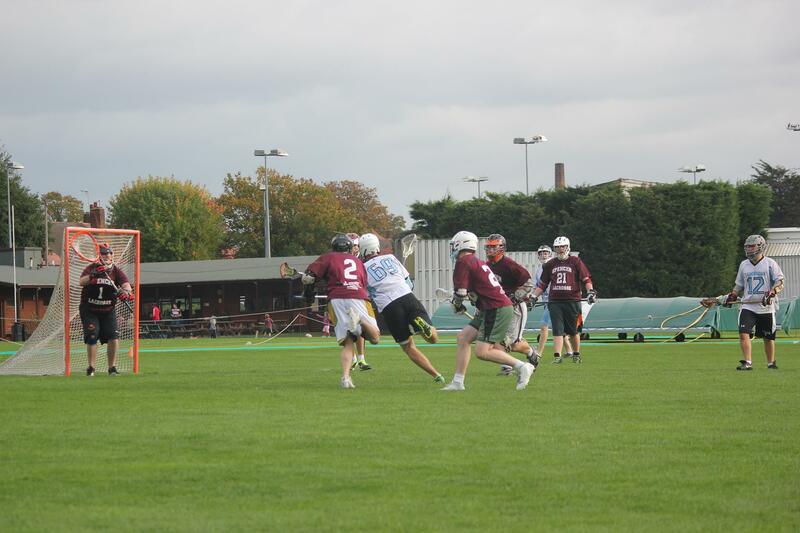 The 17th of October saw Cambridge Eagles take on Spencer 3 at their home ground in London. The first quarter of the match saw a constantly fluctuating attacking momentum following Spencer’s initial winning of the face. This first face-off proved to be the only one of the first quarter, which yielded no goals for either side due to stout defending at both ends and a solid performance by goal keeper by Jonny Stamper, in a well-deserved Man of The Match performance. In the second quarter Spencer opened-up the score sheet to take the lead, which was soon answered by Richard Moon to maintain the deadlock between the two teams. Spencer scored one further goal in the quarter, with Cambridge’s Tony Belviso, tying the score in his first match for the club. Solid goal keeping at both ends and formidable defence continued to keep the scores low. Score at half time: 2-2. The third quarter followed the same style as the first two, with settled plays at both ends following a series of short transitions and clearances including several strong carries into the offensive end by defender Chris Thompson. Unfortunately for the visitors, Spencer’s finishing allowed them to capitalise on attacking opportunities with two goals. The Cambridge attack returned a goal through Aiden Jakubik, as a result of pressure exerted on the Spencer goalie during clears by the attack. The final quarter saw a change of momentum from Spencer, who came out of the blocks to utilise their greater experience and numbers to create a final quarter rush of four goals from fast breaks. 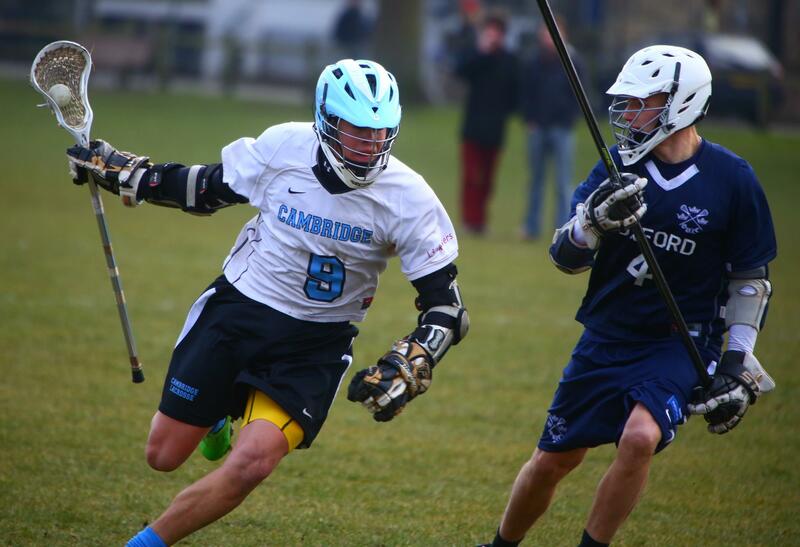 By the end of the final quarter momentum had shifted and Cambridge began to take advantage of a quarter where they were undefeated in the faceoff thanks to Simon Bleet. Goals by Aiden and Tim Jenkins kept Cambridge in the game and momentum was with them in the attacking end when the match had to be abandoned with 14 seconds to go as a result of an injury during a big hit delivered to a Cambridge midfielder as he drove towards goal. This thankfully did not result in serious injury. Final score: 8-5 to Spencer 3. The inaugural match of Cambridge Eagles was against Reading seconds at home. The game began strongly, with a series of faceoff wins by Skylar Johnson and the opening goal being scored by the successful face man. In the first quarter a further three Cambridge goals went unanswered by Reading, a brace for Aiden Jakubik, and one for Jimmy Hatswell. In the second quarter the goals kept on coming for Cambridge, facilitated by a continued dominance at the face off, with Tim Jenkins opening the scoreboard and Jimmy racking-up a further two goals. It was during this second quarter that Reading opened-up their account before Cambridge capped-off the quarter with a further goal by Aiden, making the score 8-1 to Cambridge. A rotation of attack and midfield for the second half of the match led to a change of playing style and tempo, but Reading also came out of the half time break with a renewed drive, replying to the first two Cambridge goals by Ralph Knight and Skylar Johnson in equal measure. Cambridge regained their momentum with several strong drives at goal resulting in goals from Simon Bleet and Aiden. The final quarter was hard fought, with a settled defence and skirmishing in the midfield, as well as several strong defensive clears. This allowed Cambridge to reassert their dominance with a further 3 goals coming through Jimmy Hatswell, one through Tim Jenkins, and a last minute coup de grace delivered by Aiden Jakubic, to result in a score line of 17-3 to Cambridge Eagles at full time and seal victory for the home team in their first ever game since their formation this year. Cambridge Blues began the season with the toughest matchup of the year, playing Spencer seconds away. Spencer won the first face-off cleanly, but great man-to-man defence from Matt Parker quickly got Cambridge the possession. After settling down in offence, ex-Warwick midfielder Richard Gold took a cannonball shot that rebounded off the goalie. Attackman Jonathan Linebaugh came up with the groundball and finished it with a quick jumpshot – Cambridge up 1-0. This great start turned around quickly, however, with Spencer winning face-off after face-off, and denying Cambridge possession for 4 consecutive goals. Looking rusty, Cambridge was unable to clear and missing easy passes, and could not keep up with the great teamwork from the opposition. A creasedive goal from former Oxford attackman Pete Baddoo led to a halftime score of Spencer 9, Cambridge 2. Cambridge defence managed to get back into the game, and the third quarter ended with only one goal on each side. With fitness playing an important part in the last 20 minutes, the Blues started taking fouls, giving themselves a hard time playing man-down. 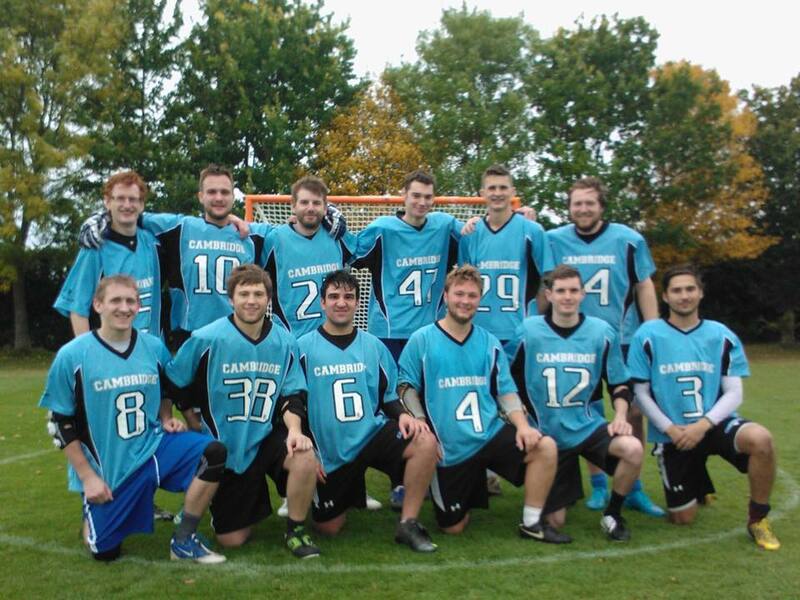 Defence managed to concede only two goals in the last quarter, and with Jono scoring his second of the day, the final score ended with Cambridge losing 4-12. 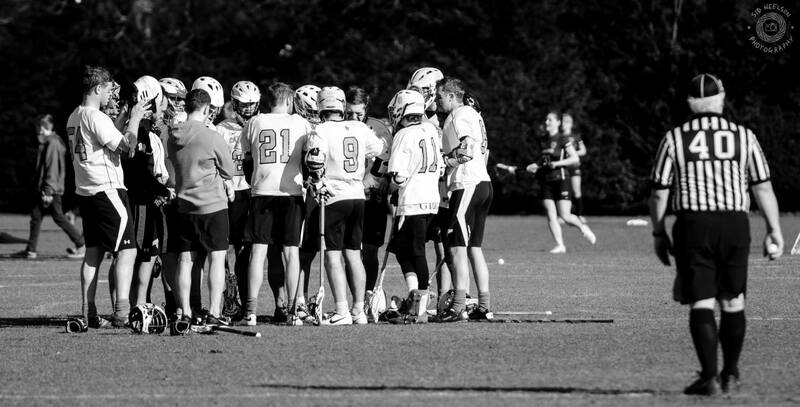 With 2 teams entered into the SEMLA leagues and promotion for the Blues in both SEMLA and BUCS last year, what does the new season hold for CULC? Pre-season kicks off in just over a week, and with the first fixtures on the horizon, it’s time to look ahead to the new season for all of the teams associated with the club. Last season, the Blues were promoted into SEMLA East Division 1 alongside rivals Oxford University. The team will be looking to push on towards the top half of the table, especially with a number of exciting new additions to the club. The campaign begins with a tricky fixture away at defending champions Spencer 2 (who weren’t promoted due to their first team being in the Premiership!). The other highlight in the first few weeks of the season is a home fixture against Oxford that is scheduled for the 21st November. With this year marking the 100th Annual Varsity Match on the 27th February 2016 in Oxford, it promises to be one of the biggest years of lacrosse in the Club’s history. The Blues prepare for that historic match with fixtures away at Hillcroft A on the 13th February, before a home match against Welwyn on the 20th. The Cambridge Eagles make their debut season in SEMLA and will start in Division 2, the league from which the Blues were promoted from last year. The team is likely to be made up of a lot of the same players that played and beat most of teams in the league last year – Brighton are now the only team that the club dropped points against, and so the team is set up well have another successful campaign in this league. The Eagles begin with a FLAGS match away at Epsom 2 the first weekend after pre-season. The league season begins with a home match against Reading 2s, and the target will be to push for promotion into Division 1. Facing off against Oxford University Iroquois in the Varsity match on the 27th will be a highlight, despite the match being labelled as a ‘friendly’! In BUCS, having been promoted from a relatively poor standard division last year, the target will be to push towards back to back promotions. The league features teams from Nottingham, Nottingham Trent, Warwick, Birmingham and Northampton Universities. It is likely to prove a tougher test than last year in which the team managed to win every single game, with a net goal difference of +152. Match reports and updates will follow throughout the season, but to keep up to date, make sure you like the Club Facebook page and follow us on Twitter! 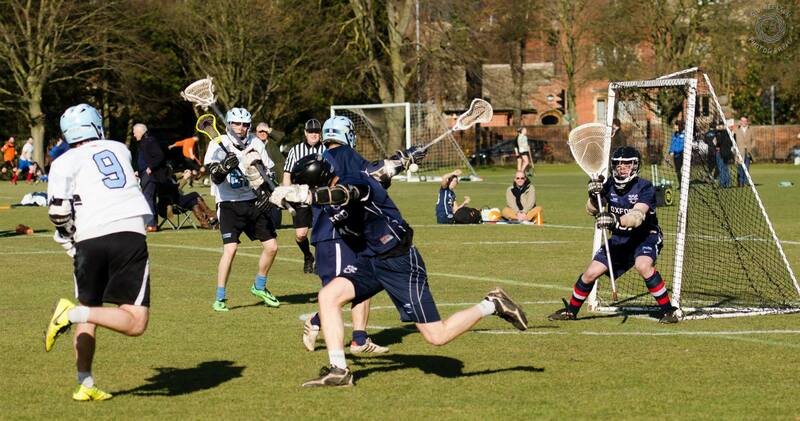 The 100th Annual Lacrosse Varsity match will take place on the 27th February 2016 at Oxford University Parks. If you are an alumnus or simply want to come and support the Light Blues, please get in touch and let us know! We will be organising a supporters coach to take people to the game, as well as other alumni events throughout the day. Get in touch with Nick Evans and he can help you out. We’d love to have as much support as possible in Oxford to help us bring the trophy home! 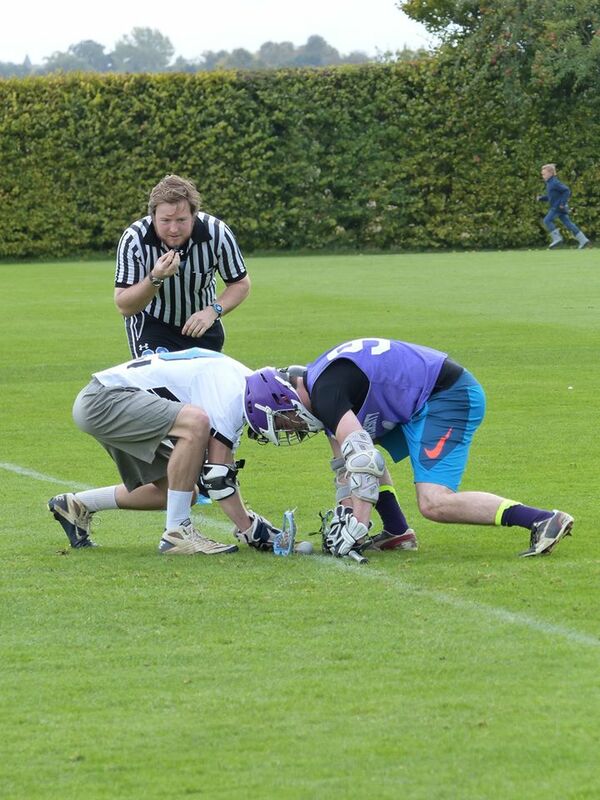 Last year’s Varsity match took place on the 7th March at St John’s College pitches. The Blues match was won 13-10 by Oxford. This year, we will be out for revenge.